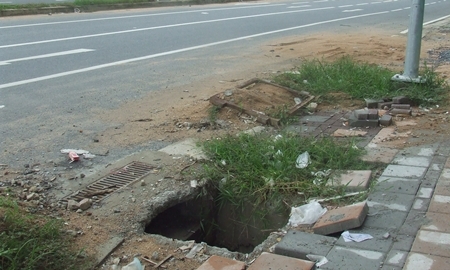 A missing sewage-drain cover is posing a risk to drivers on Soi Wat Boonkanjanaram. 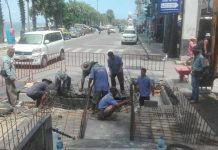 The missing grate is just one of many holes on a road under construction for more than a year along Jomtien Beach. 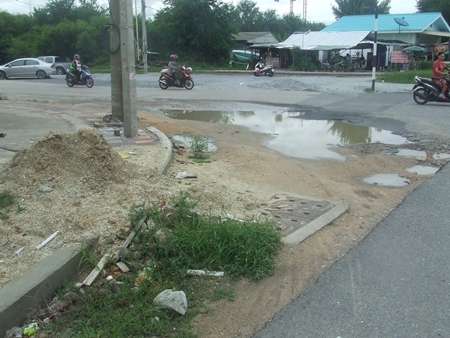 There also is no traffic light to control traffic. 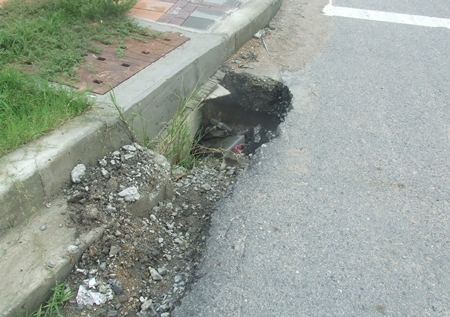 The road is in general disrepair with the bus stop missing a roof. 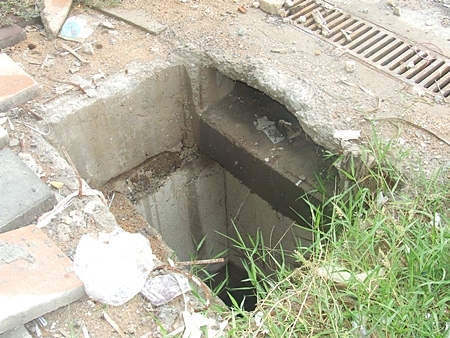 But the 3-meter deep hole presents the most-dangerous problem.